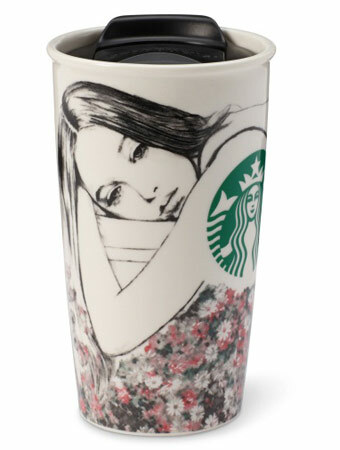 The latest designer collaboration is Charlotte Ronson for Starbucks. The delicate design on this handy travel mug is in stark contrast to the sturdy ceramic construction to keep drinks at their desired temperature. Created from a handsketch, the print is inspired by Charlotte Ronson’s spring 2013 collection for New York Fashion Week which featured floral shades and ocean hues reflecting a feminine and urban mix. This cup is one stylish way to drink your favorite brew.